Sometimes you hit a nerve as an analyst. Nick Barber and I had that experience over the last several months. This is one of those things, like skydiving: easy to start well, harder to finish well. 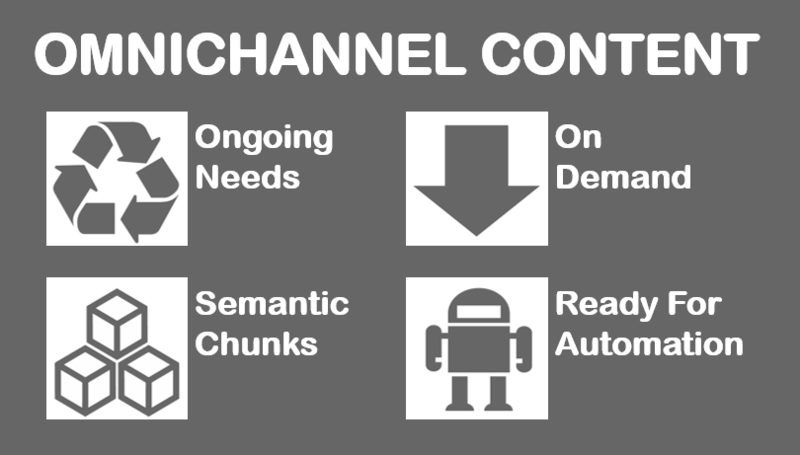 The “hard thing about hard things” truth is that omnichannel content runs up against some of the biggest brand management bugbears out there: organizational fiefdoms, new and nuanced skill sets, technical nous, content management “debt,” and novel work practices. The benefits, however, are compelling. There’s a whole world of great customer experiences (and brand efficiencies) that are just not possible at the scale of big brands without omnichannel content. It’s only going to get more compelling. For these reasons, I’m delighted to join an all-star cast of content peers who’ll be at OmnichannelX in Amsterdam this coming winter. If you don’t come for me (really? ), come for the speakers from Cisco, Eli Lilly, Facebook, and IBM. Content strategy gurus Rahel Anne Bailie, Noz Urbina, and Lisa Welchman will all be presenting, too. If you’re remotely interested in getting (closer to) the vanguard of content strategy, you’ll want to be there — wrestling bugbears with us.